to be damned? Today, Marvel is pleased to present your first look at BLACK KNIGHT #1 the new ongoing series from writer Frank Tieri and artist Luca Pizzari! 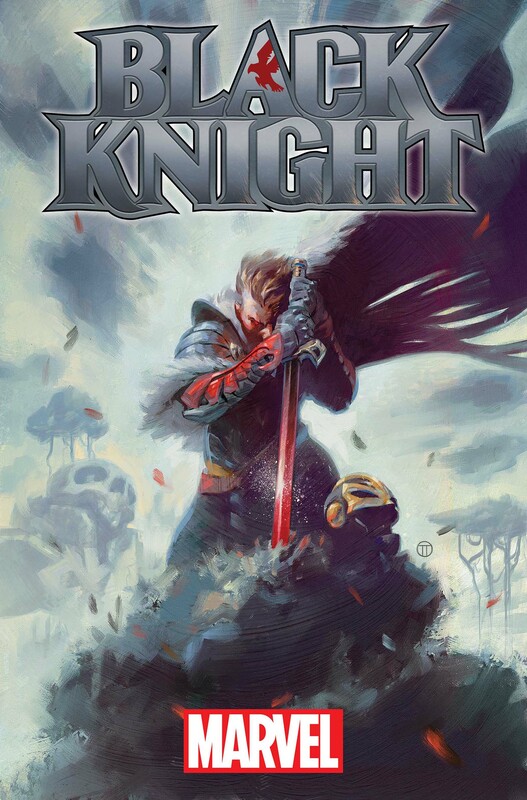 All power comes with a price, as each and every Black Knight through the centuries has met and untimely end, a victim of the Ebony Blades curse. Will Dane Whitmans fate be the same? The long-time Avengers addiction to the blade grows stronger and stronger each day. Will he succumb to its power and suffer the same end? A lost man himself, Dane now finds himself in Weirdworld, the place where all lost things go. What circumstances brought him here? And what could he possibly have done that would cause the Uncanny Avengers to mobilize against him? Find out, and see the Marvel Universe from a whole new angle this November in BLACK KNIGHT #1!